New Jersey has the 6th highest rate of fatal youth drug overdoses in the country. 15 percent of New Jersey teens admit to drinking alcohol for the first time before age 13, compared to 19 percent of teens nationally. 39 percent of teens, ages 12-17, in New Jersey admitted to smoking marijuana at least once daily. The availability of relatively inexpensive and highly pure heroin in New Jersey has contributed to an increased number of drug-related deaths. It is imperative that visible, unified prevention education efforts by community members be launched to reduce the demand for drugs. 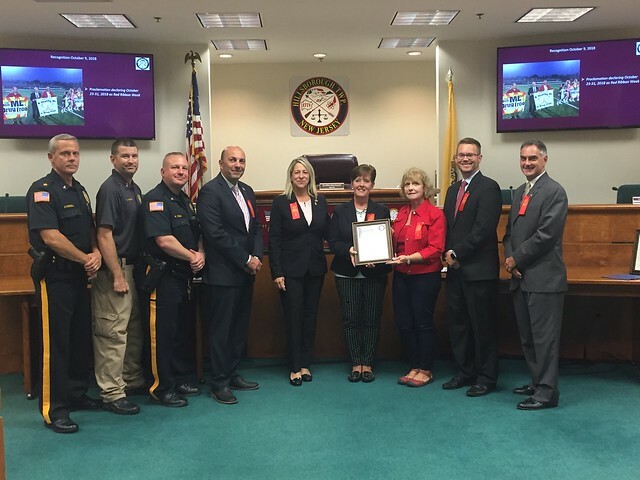 The National Family Partnership for Drug-Free Youth, the District Life Skills Committee and the Hillsborough/Millstone Municipal Alliance are sponsoring the 2018 National Red Ribbon Campaign- Life is Your Journey, Travel Drug-Free. Business, government, law enforcement, schools, religious institutions, service organizations, youth, physicians, senior citizens, military, sports teams, and individuals will demonstrate their commitment to drug-free, healthy lifestyles by wearing and displaying red ribbons during this week-long campaign.